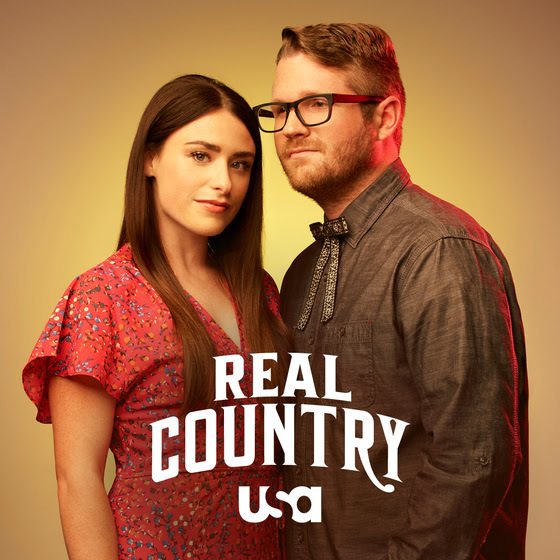 The Young Fables, an emerging leader on the modern, traditional country scene selected by Shania Twain to perform on the show, received rave reviews throughout the premiere of Real Country on the USA Network last night. This spotlight comes just a few weeks after they were selected by Rolling Stone as a “Ten Best Country & Americana Song of the Week” for their latest release, “Crazy”. We are incredibly grateful for the support from Shania Twain and the entire team at Real Country,” says Laurel Wright of The Young Fables. “Our experience and the fan response to the premiere was more than we could have ever expected,” says Wes Lunsford of The Young Fables. This new country music showcase series features multi-platinum, five-time Grammy Award-winning trailblazer Shania Twain; ACM Award-winning and platinum-selling singer-songwriter Jake Owen; and multi-platinum, Grammy Award-winning country music legend Travis Tritt. In each hour-long episode, Twain, Owen and Tritt hand-select emerging solo artists, duos and groups to perform in showcases that spotlight the rich traditions, songs and themes of specific country genres. For those that missed the premiere, you can view The Young Fables performances below. “We know Deana Carter so well and she is going to be so pumped when she hears that. Your delivery is so smooth on that vocal. It is like velvet coming through there. It’s like Christmas morning.” – Big and Rich’s John Rich. At the conclusion of the broadcast, The Young Fables would finish in second place…however on the show’s Instagram profile, they captured the highest number of votes in the poll where viewers were asked to choose “Who’s your favorite for the week?” leading by 68% when the show finished airing. It can be downloaded or streamed at the following links: Spotify, iTunes, Apple Music, Amazon and Google Play.